Marshall, Michigan - A Rexall drugstore. At one time, Rexall was a large chain of up to 12,000 independently-owned drugstores, but very few now remain. 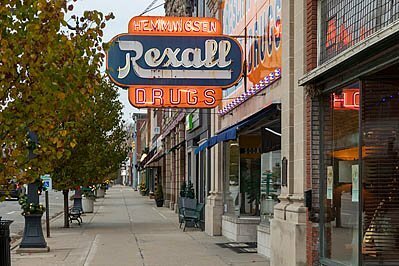 Image Description: Marshall, Michigan - A Rexall drugstore. At one time, Rexall was a large chain of up to 12,000 independently-owned drugstores, but very few now remain.